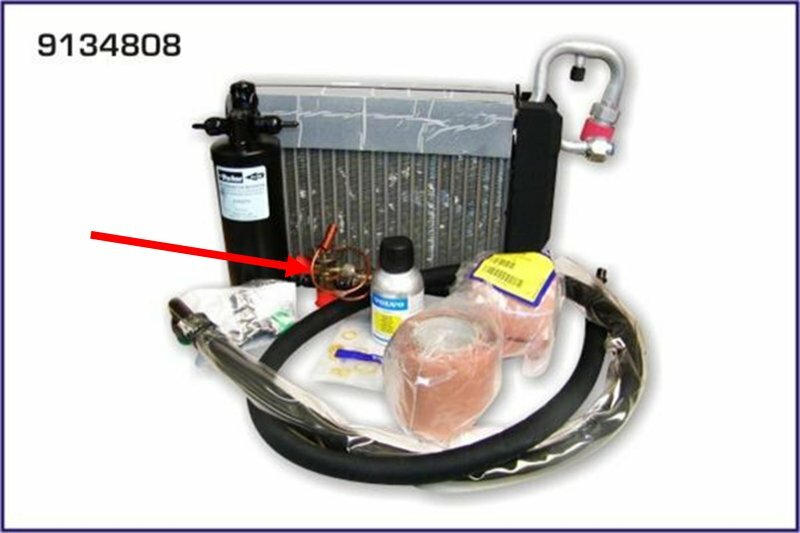 I would like to start a discussion on using propane (or other hydrocarbons) in Volvo AC systems. I suspect using hydrocarbons violates some environmental laws, so for the purpose of this discussion, any practical use mentioned here is simply hypothetical. Above tests with hood closed, engine 2000 rpm, AC set to "Cool", fan speed at 3, recirc set on. I was told by a friend who has some experience with propane that it is easy to overcharge, so you should use only about 1/2 of the amount of R134a needed. It seems propane is a much better refrigerant than R134a or R12 and it has a tendency to freeze valves closed if too much is used. In my hypothetical situation, the car is an '84 240T, original condenser and evaporator, new R134a rotary compressor and hoses a few years ago, and recent new receiver/drier and expansion valve. Previous R134a charges have resulted in cool vent temps (50s), never very cold, and lousy performance when ambient is 90 F plus. So far it appears using as little as only 6 oz of propane is too much and causes things to freeze up after about 20 min. I suspect the freeze-up is in the expansion valve area. Symptoms are a gradual rise in vent temps, eventually to ambient. Low side pressure gradually drops (begins about 25-30) to ZERO, while high-side remains between 150-180. It begins working ok again after letting the car sit (thaw out) for 4 to 8 hours. When it works, I get vent temps in the mid 30s F (ambient 80 F). I have tried a number of different amounts beginning with 12 oz and working downward. I use a postal scale to measure the bottle before and after, and lately during the charge. Each recharge gets a new vacuum for 20-30 minutes. Results are the same in all attempts. If there's any moisture in the system, it could only be coming from the propane (is that likely?). UPDATE 2012: I decided to change to Duracool as an R12 replacement instead of straight propane. Cooling had been ok for cruising with propane, however there were some periodic issues with freeze-ups and problems cooling during idle. Last edited by dbarton; 11-17-2017 at 05:40 PM..
Dont let anyone work on it for an A/C leak if you have propane in it, the "sniffers" pros use have a electricl charge at the tip and will cause your car to blow up not worth the risk with all the heat and possible other sparks in a car. say your evaporator is leaking and you lite something in your car(a cig or joint) a bomb goes off. Maybe you should just look for what is causing you to only have 50 degree vent temps. There are a ton of retrofitted cars including Volvo's that seem to work just fine on the non explosive 134a. Here is where I start a fight, using or even trying to use propane is just crazy and it's not only dangerous to you but anyone who operates or rides in the car. And yes I know the link's over two years old but I just had to jump in. You can never have too big a Turbo ! ! ! Ok, now that the "your car will explode" is out of the way, let's continue the discussion without it. And I'll be extra careful to stand 100 feet from my barbecue next time I click the lighter so it doesn't explode too. Are you sure the dryer is not causing the problem as it can hold quite a bit of moisture. What is the exact temperature on the evaporator coil and high side pressure when it freezes? Hydrocarbon tolerates moisture much better then r-134a but it gets much cooler in the evaporator as well, the high side pressure runs lower too. If you run hydrocarbon through it should easily purge the system of moisture but possibly not the dryer. The refrigerant efficiency can be found on the Internet, look up the common ones and post. The type of refrigerant used is the first determinant on how well an A/C system works, its make up fixes the rest of the system. The second area is the system itself and primarily the size of the evaporator and condenser with a compressor that is sized to operate with them. You pick the refrigerant to use and then the size of a system to move enough of it to cool the cabin with a full heat load. The last step is to reduce heat load and really the most practical as it makes everything else smaller and better mpg. Tinted windows, insulated roof and floor areas, car color and maybe isolating the cabin with clear plastic so as the air is restricted to the front only if rear passengers are not an issue. The refrigerants hydrocarbon, r-12, r-134a are different by about 10-20% efficiency with hydrocarbon being the best and r-134a the worst. The A/C system must be increased in size to make up for the less efficient refrigerants. There is an flammability issue with hydrocarbons although small compared with most human exposure to fuels, death is not likely even if it did go off. Natural gas in a house, gasoline in cars and many common flammable items such as spray cleaners (WD-40), some paints and other household items. Think about what girls did years ago with hair spray, very explosive, and their husbands are watching them smoking a cigarette while they did their hair-crazy. Never tried anything but 134 in this car. Anyone know what's in it? 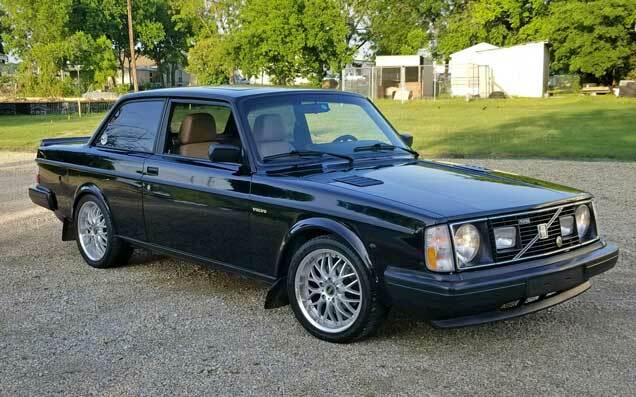 I have used R12 exclusively in my '84 245 for years, but it also have similar mediocre performance. Last edited by dbarton; 04-20-2010 at 03:17 PM.. The "correctly" retrofitted cars that I recall (back when Volvo still offered the components) were fitted with new style condensers and evaporators. Mine are originals. Are you sure the dryer is not causing the problem as it can hold quite a bit of moisture. It was new when this project began a month ago. What is the exact temperature on the evaporator coil and high side pressure when it freezes? Hydrocarbon tolerates moisture much better then r-134a but it gets much cooler in the evaporator as well, the high side pressure runs lower too. If you run hydrocarbon through it should easily purge the system of moisture but possibly not the dryer. Good suggestion. I suppose I can try getting a reading with my laser temp gun. Probably only a reading off the pipe going in though. I won't be able to get a reading for some time since the evap is running at ambient right now, but the expansion valve is about 20 deg cooler. After it sits for several hours, then it'll run cold again and I'll try to get some temps. Last edited by dbarton; 04-18-2010 at 05:56 PM..
something vague about a orifice size change comes to mind, though i know not much about AC other than basics... i know the size of that hole has a lot (everything) to do with the expansion and cooling rate. i think they also swap that out on a retrofit, i read something here once regarding the "orifice tube". If you run hydrocarbon through it should easily purge the system of moisture but possibly not the dryer. So it appears then that moisture is not the problem? Can propane get cold enough to freeze an opening in the expansion valve shut? The new expansion valve I bought was an R12 type as far as I know. Would there be a difference between it and an R134 valve? I read the other AC thread and someone mentioned there being an adjustment on the expansion valve. Anyone know about that? Last edited by dbarton; 04-18-2010 at 09:58 PM.. I believe the orifice tube system was in '91 and later systems only. Here's a pic of the Volvo retrofit kit. The arrow goes to the expansion valve. There's a copper coil coming off the valve. Does it somehow regulate this valve? If so, is it feasible that the coil is reading cold enough temps to shut down the valve? Never tried anything but 134. Anyone know what's in it? I have a can lying around...Try to post it up shortly. the regular 134 did in the same car.I's made by inter dynamics I believe. I don't think so. The switch already has a copper line that is separate and installed on the evap outlet pipe. I found this extensive guide to how expansion valves work. It might help, but I am hesitant to mess with the adjustments until I know if it's the proper course. Last edited by dbarton; 04-20-2010 at 03:19 PM..
FYI, 1,1,1,2-Tetrafluoroethane is simply R134a. So Arctic Freeze is 80-95% R134a. I think the colder AC might be in your mind. Last edited by dbarton; 04-18-2010 at 06:47 PM.. Sounds like you need a low pressure cutoff switch. Compressor should cycle off below a certain pressure to prevent the evaporator from freezing up . Hydrocarbons make a great refrigerant, much better at cooling and more environmentally friendly. All refrigerants are a fire hazard when they are mixed with oil and pressurized, and with most car systems you are talking ~8oz of hydrocarbon. Get real, I grew up on a cotton farm and drove a propane powered John Deere tractor for years. The propane tank was less than 3 feet directly in front of me, the exhaust pipe was another 2 feet in front of the tank. I almost always refueled with the motor running because the damn thing was so hard to start. I guess me and a bunch of other old farmers (especially the ones that smoked "roll your owns" or Lucky Strikes) are lucky we didn't all blow ourselves up years ago. I agree that propane is a hell of a refrigerant, I could freeze a hot soda pop with a 2 second blast from the propane tanks pop off valve, but you better have your glove on or it would also freeze your hand. I don't think 6 ounces of propane in a Volvo would scare me much. No doubt we live in a world full of hazardous situations, but propane in an AC system is not one of them. Sounds like you need a low pressure cutoff switch. Compressor should cycle off below a certain pressure to prevent the evaporator from freezing up. Possibly. It would have to be adjustable to be finely tuned. High pressure side runs in the 150-180 psi range and is very stable. I'm wondering though if a switch would simply shut down the compressor repeatedly, every time it tried to pressurize the line, rather than regulate smoothly. That would be bad for the compressor. Ok, I'll give you the benefit of the doubt. I wonder what makes it "synthetic" if it's designated as R134a in the MSDS. And what would make it cool better? Just looking a little bit at Duracool's( HC blend) comparison chart (which is part propane) has you putting in ~1lbs of their blend if the system was spec'd to hold 2.5-3lbs of R12. Not exactly comparable because their blend contains other chemicals. You might actually want to try a little bit more in the system. If it's warmer out I would get it to ~35-40psi at 1500rpm. I don't know much about the refrigerant but I can tell you that the copper line from the expansion valve goes to in front of the evaporator inside the climate unit. Nothing special about it's location other than in front of the evaporator. Dave, R134a is the refrigerant of choice if you ever want to get the system serviced. Propane is explosive and if you have a pinhole leak inside the passenger compartment, it could explode. Propane may be illegal in some states for automotive use. Any reputable shop will sniff your system and if you have anything but R134 inside, they will not service it. Any other mix besides R134 will contaminate recovery systems and insure that performance is degraded. For the sake of saving a few pennies, safety and a/c performance is sacrificed. Many have touted using these other mixtures, mostly those who are selling them. R 134 conversion kits use a thermostatic expansion valve(TXV) that is specific for that gas. Initially, when conversions were started from R12, the thought was that major components must be replaced. This has changed, and many only replace receiver/drier canisters, o-rings and use a quality ester oil. Ester oil is compatible with R12 oils, while PAG oil is not. Also, use Ester oil that is in a can-plastic bottles can allow moisture seepage through the container. Water is the enemy and can only be removed by vacuuming down a sealed system. If all of these instructions are followed, and no leaks are detected, R134 can absolutely replace R12 with fantastic results. 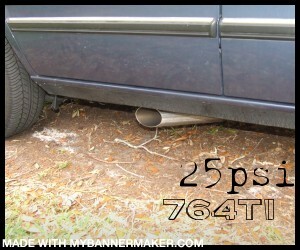 I have done Volvo conversions with TXV systems and fixed orifice systems with good results. Personally, I think it is false economy to use anything but what the factory recommends.